There are a million reasons why you might want to buy yourself a reliable pair of wireless headphones for TV. Maybe you have a roommate who always goes to bed early when you’re still trying to watch TV from across the room. Or even more troublesome, maybe you keep your partner up while they’re trying to sleep and you’re watching TV in the bedroom. Maybe you have trouble hearing the TV and just want a pair of headphones so you can hear it that much more clearly – whatever your reason is for wanting a great pair of wireless TV headphones, we got you covered. 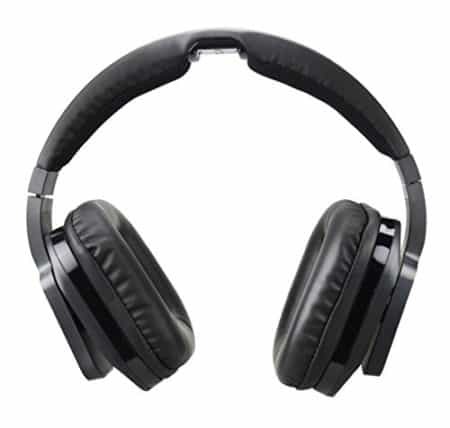 We have thoroughly researched a wide variety of some of the best wireless tv headphones on the market and have created a list containing only the best of the best. They vary in style, price, and functionality but no matter what you’re looking to do, you’ll be able to find something on our list. So before you take the plunge and purchase your wireless tv headphones, check out our list to figure out which ones will work best for you and which ones are the best wireless headphones for TV! Let’s take a quick look at a list of the best wireless headphones for TV on the market currently, then we’ll get into the reviews. Now we know the best rated wireless TV headphones, let’s look at the specifics of each to see which pair will work best for you. Alright first up we have a pair of headphones from a pretty reliable name in the industry – Sennheiser. These headphones tick a lot of the boxes that you should be looking for when purchasing a good pair of wireless tv headphones. Not only do they look beautiful on the transmitter/charging stand – they sound great, have decent battery life, and you can get them for an amazing price. So let’s answer some questions and get into the details of these headphones. First off, how do wireless TV headphones differ from just wireless headphones? Wireless TV headphones generally don’t use Bluetooth technology to connect. They usually come with a transmitter that you plug into the TV and then your headphones get the signal from the transmitter. While you don’t necessarily need specific TV headphones, they are nice because not every TV is equipped with Bluetooth technology, especially older TVs. Headphones that use a transmitter are great because the transmitter plugs directly into the TV without it needing to be specifically compatible. We’ll have both types of headphones on the list so you can see which type is right for you, but these ones use an FM transmitter – not Bluetooth technology. One bonus with these headphones is how beautiful the transmitter/charging stand is. It’s not something you need to hide behind your TV and in fact, you can even mount these on the wall next to the TV and it would look great in your living room or bedroom! They’re very easy to set up – all you have to do is plug in the transmitter and you’re good to go. These headphones feature a 20-hour battery life which isn’t necessarily amazing when compared to some other models, but will last long enough for most people’s needs. Then all you have to do to recharge them is set them on top of the transmitter – easy! There are three RF channels for you to go between to ensure you’ll find one that works and sounds crystal clear. Also, since this uses a technology that’s different from bluetooth, the signal goes further than just 30 feet and also has the ability to go through walls – up to 300 feet! That’s an amazing range for wireless TV headphones. Overall, for the price (around 60 USD) these headphones are a solid choice. They have a warm sound and strong bass that make them perfect for watching movies and anything else as they pick up even the smallest of details. Another added bonus is that you can actually connect additional headphones to the transmitter as well! This is perfect if two of you want to watch a movie without disturbing the neighbors. They also come with a two year warranty, which is pretty good for a pair of headphones. A couple of other great features to note: you can easily control the volume with buttons on the side of the headphones that are easy to find. They’re also extremely comfortable and have really nice padding around the ears making them great for longer listening sessions. We’re confident you’ll be happy with the way the Sennheiser RS120s look and more importantly, with how they sound. Up next, a pair of headphones from a brand name that you can trust when it comes to audio products – Sony. Lucky for us, the Sony MDRRF985RKs do not disappoint. While they may not be as sleek and modern as the last pair of headphones from Sennheiser, that doesn’t mean that they don’t perform just as well, if not better. Okay okay, so how do they stack up compared to the last ones? At just under 100 USD, are they worth the price increase? Let’s find out! First off while they may not look super sleek, they are super comfortable. The padding around the actual headphones is very comfortable and the headband is easily adjustable so you can figure out exactly where they need to be for maximum comfort. They also feature automatic tuning so it will automatically find the best channel with the highest quality signal for you to transmit to. While they don’t have the 300 foot range of the last pair of headphones, they still have a 150 foot range which we think is plenty. This will be fine for any bedroom and most likely, just about any living room. What about the battery life? As before, the transmitter doubles as a charging station. This pair of headphones from Sony can operate up to 25 hours! That’s astounding for a pair of wireless headphones. Depending on how much TV you watch, you could easily go a week without even having to think about charging these. When you do charge them, it only take 3.5 hours to charge fully which is not bad at all considering you can use them continuously for 25 hours after that. As far as the audio quality – it truly is second to none. There’s no distortion whatsoever and makes every noise in every movie sound crystal clear in your ears. There was some interference that was reported, but this can be remedied by just making sure you’re transmitting across the proper channel. Another added bonus is that these are particularly easy to set up so you’ll be up and running within minutes of taking them out of the box. If you’re the type of person who likes to buy brands they’re familiar with but you don’t want to necessarily shell out hundreds of dollars for a decent pair of wireless TV headphones, these are a great option for you. They’re comfortable, have an above-average battery life, and they can make any movie sound like you’re there right in the action. The only one true negative with these headphones is the interference that is sometimes reported. But like we said, all you have to do to fix that is make sure that you’re tuned to the proper channel. So while it has automatic tuning, if you find that you’re experiencing any sort of interference, don’t be afraid to manually tune it to a channel that works best for you. 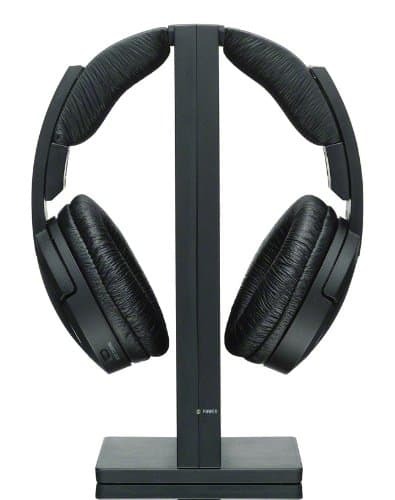 We can’t recommend the Sony MDRRF985RK headphones enough! Okay so we’ve taken a look at a couple of good budget options if you’re not willing to spend the big bucks on a high-end pair of headphones – and that’s okay! There are plenty of options on the lower end of the price spectrum that will make you happy and give you the quality you’re looking for. 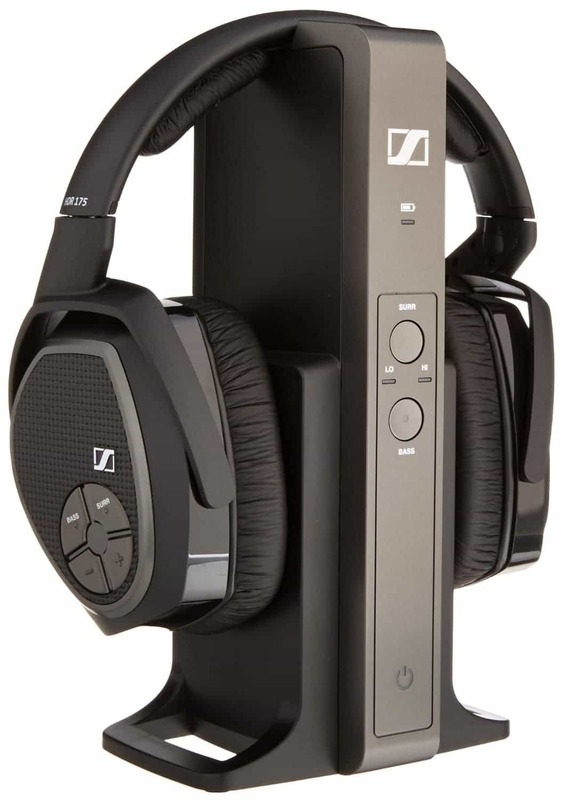 If money is no object however, let us recommend the Sennheiser RS 175. At a price tag of just under 250 USD, these headphones are some of the priciest wireless TV headphones on the market. Now while you may not care about the price, a question you should always ask yourself when making an expensive purchase – is the quality you’re receiving worth the higher price tag? In the case of the Sennheiser RS 175, we have to answer that question with a resounding yes. We know this shouldn’t be the main factor but it’s always a nice bonus – these headphones just look great. Not even great, they look amazing. They’re sleek and modern while also having a durable and comfortable look. The transmitter is also a nice color and is something that will look good in any space you bring it into. The quality is almost unmatched – the bass, mids, and highs are all crystal clear and provide a true surround sound experience whenever you’re watching a movie. They also feature a selectable bass boost that lets you crank up the bass when you want it, and let it be when you don’t. In addition to the selectable bass boost, they also feature a virtual surround sound option for an even more customizable listening experience. Alright – what about two of the most important factors, battery life and range? Range is one of the best on the list at a 330 foot range. Again, since the signal is FM and not Bluetooth, this actually allows you to go through walls, ceilings, and even go outside as long as it’s within range. The battery life isn’t quite as good as a lot of others on the list at around 18 hours, but we still think 18 hours is plenty long enough. This should still allow you to not have to worry about charging it for at least two or three days. These are ready to go straight out of the box and are extremely easy to set up. The sound quality is unbelievably full and you can easily hear any detail in any show or movie without having to crank up the volume. 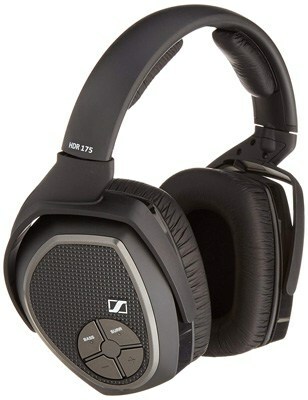 All in all, not much to complain about with the Sennheiser RS 175 (except maybe the price). They look amazing, they sound amazing, they’re lightweight, easy to set up and give you multiple options (bass boost and virtual surround sound) that allow you to have a truly unique listening experience. 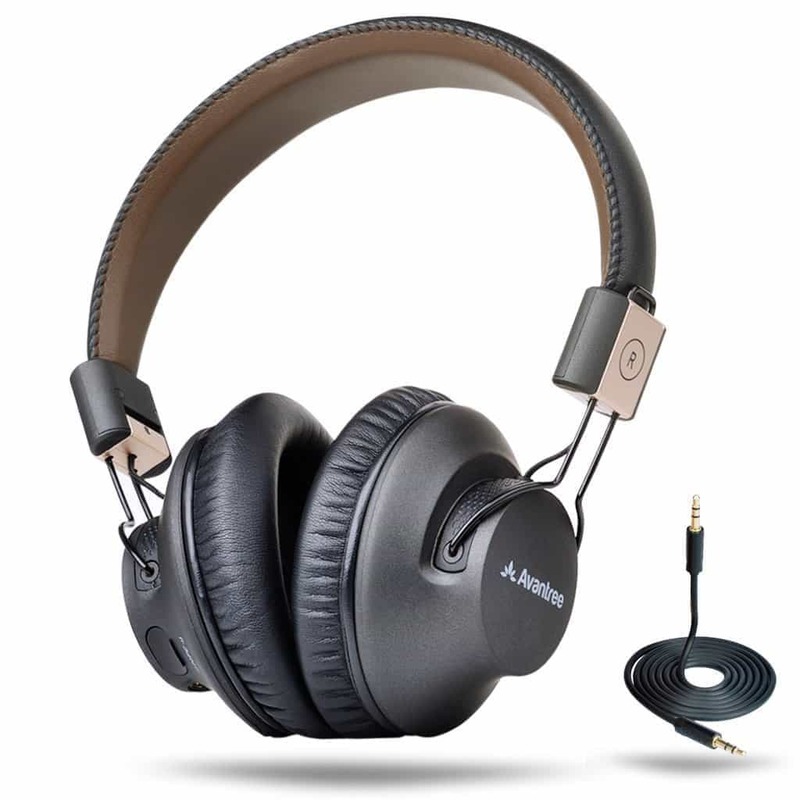 Another thing we’d like to note is that you can actually connect two pairs of headphones to the transmitter, just in case you need to buy another pair of these headphones down the line. If the price is absolutely no object, we highly recommend giving these a try and seeing for yourself if they’re worth the price. Don’t just take our word for it – give them a spin yourself! Up next we have a pair of wireless TV headphones from a brand that might not be as well known as the last two, Noontec Hammo. Don’t let the lack of brand recognition get you down, however! 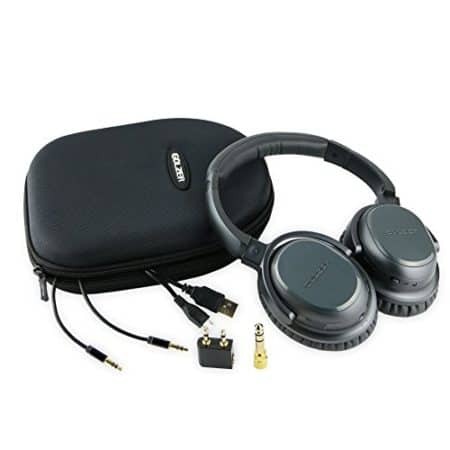 These headphones can easily compete with the big brands out there and they do so very well. The headphones themselves look sleek, as well as the transmitter/charger that it sits on. Also in a lot of the major categories, it actually out-performs the major brand names. Let’s take a look at the specs of the Noontec Hammo and you can decide for yourself! First off, the price is actually pretty decent at around 120 USD. Not the cheapest pair on the market but also not exorbitantly expensive. These headphones potentially have the longest battery life out of any of the other pairs we’ve seen – 50 hours! That’s insane to us. Depending on how often you use these, you could go two or three weeks without having to worry about charging these at all. One place where it lacks a little bit however is the range. 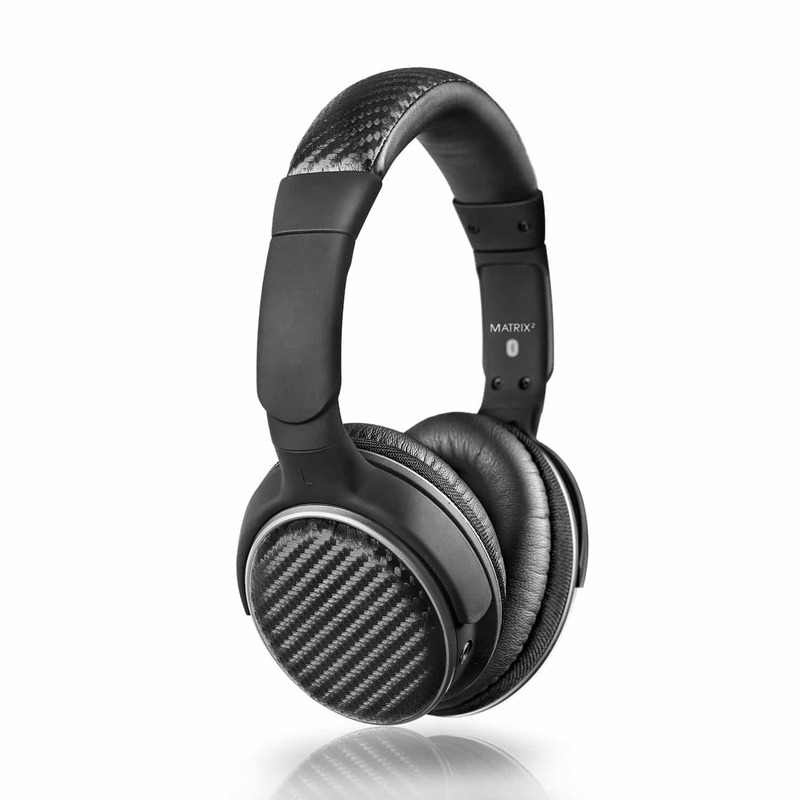 The range is only about 30 feet, which actually is on par with headphones that use Bluetooth technology. For most bedrooms and living rooms, 30 feet should be a good-enough range. You might not be able to walk across the house while still using them, but for general viewing purposes, they’ll be fine. They also provide resistance to any RF interference so you don’t have to worry about any other products interfering with the performance. The sounds produced by the Noontec Hammo are also extremely accurate and you will seriously feel like you’re watching a movie with a home theatre set-up. They are that good. The audio and video are also always perfectly synced with each other because of the low-latency wireless transmission. All in all, these headphones were specifically designed for watching TV in just about every aspect and you’ll be able to tell the second that you put them on. A couple of other things to note beside the sleek design and outstanding performance – they are actually comfortable as well! These headphones will be with you when you want to binge watch the newest season of your favorite show without you having to take any breaks. Yay! They also come with an extra AUX cable if for any reason you want to use these as traditional headphones. Overall, despite the fact that the brand is relatively unknown, we think this would be a really solid purchase that you won’t be disappointed with – especially at this price point. As we mentioned before, these headphones are made for watching movies/TV and they definitely sound like it. Everything is crisp and crystal clear, they’re comfortable, and the battery life is insane at 50 hours! You can watch movies on movies or binge watch multiple seasons of your favorite show all without having to charge these up! We can confidently say that you’ll be happy with the Noontec Hammos so give it a shot! On to the next one! 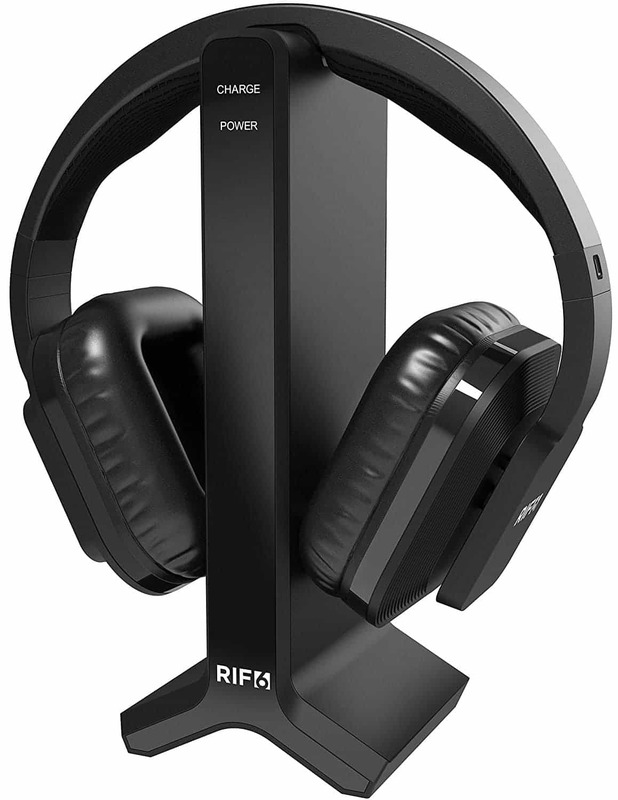 RIF6 are the headphones that we have to follow up one of our favorite pairs, Noontec Hammo. Another relatively unknown brand, the RIF6 provides another great listening experience that’s tailored specifically to watching TV/movies. And at only 60 USD, they are a low-risk purchase that allows you to get a lot of bang for your buck. But price isn’t everything! While they may be inexpensive, it doesn’t matter if they don’t perform. So the big question is – can the RIF6 headphones compete with the other amazing headphones on our list? In short, yes. First off we have to say it, we really like the design of these headphones! These are the first pair that features a rectangular design as opposed to a more circular or oval design. We love it. Okay so let’s talk about the two most important factors first – range and battery life. The RIF6 excels in the range department with a 100 foot range! We found this to be very impressive and definitely on the higher end for headphones on our list. As far as battery life, it’s not necessarily the longest but we think it gets the job done at 20 hours. You might have to charge it every couple days but overall we don’t think it’s a dealbreaker. These headphones are also surprisingly lightweight and feel great when you wear them! They’re not super tight so they won’t give you a headache or cause any strain if you want to wear them for long periods of time. They are designed surprisingly well at such a low price point. They also feature a one year warranty so you can have faith that they’ll last even though they are at the lower end of the price spectrum. Another nice little bonus feature that they have is a volume memory preset. This will stay even after you shut them off or if they die. 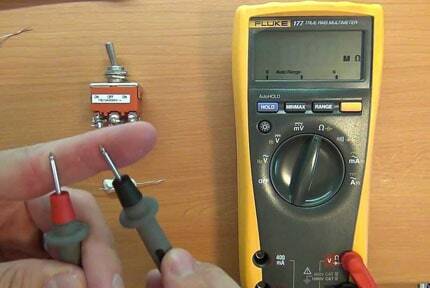 The volume will stay at the exact level you left it at so you don’t have to adjust every single time you put them on. Also while this exact pair doesn’t come with an extra AUX cable, you can easily purchase one for relatively cheap that will allow you to use these as regular headphones if you ever need to. If you’re looking for a reliable pair of wireless TV headphones at a great price, look no further. 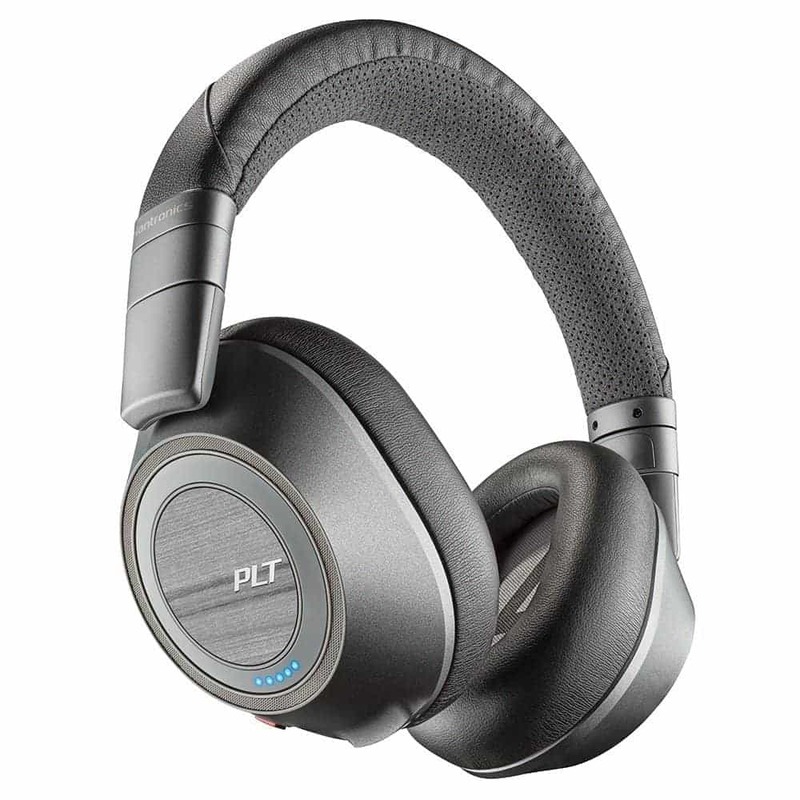 These don’t necessarily have a ton of frills or even the brand recognition but they are: comfortable, functional, and have great sound quality. We suggest maybe giving these a shot if you’ve never purchased a pair of wireless TV headphones before and just want to try out a pair before making any big financial commitments. Not to say that these don’t produce high-quality sound though! Where these really shine is in how comfortable they are. The rectangular design provides ample room for your ears and lets you listen for hours. Give the RIF6 headphones a shot – for 60 USD, you can’t really go wrong. If you’re looking for the least expensive pair of wireless headphones for whatever reason, then look no further. Maybe you don’t want to fully commit to one of the more expensive pairs or maybe you just won’t be using them that often – whatever the reason is, the RCA WHP141B headphones are your best bet. While they may be cheap, don’t let that fool you. The quality is still there and these will get the job done while giving you a crystal clear sound. So exactly how cheap are these and what are the actual specs? Read on! You will have a very difficult time finding another pair of wireless TV headphones that actually produce quality sound at this price point – 40 USD! One major question you’ll probably want an answer to is do these headphones compromise on either range or battery life? Absolutely not. The range on these is actually better than most. 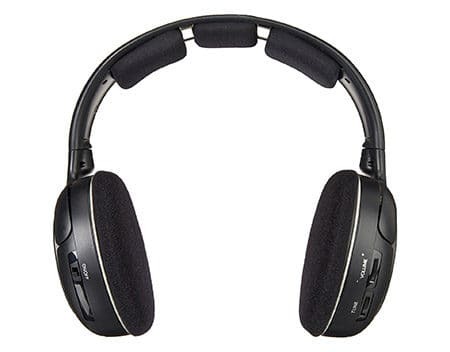 These headphones can be used up to 150 feet away and again, since they don’t use Bluetooth technology this signal can actually go through walls, ceilings, etc. There has been a bit of static reported if you go any further than 40 feet, but that’s to be expected on most models. The battery life isn’t necessarily the best in the world as they only last 15 hours. You’ll probably need to charge these guys every couple of days – which still isn’t the end of the world. Just like the previous headphones, they all come with a transmitter/charging station. You can choose from three different channels so you’ll always be able to find one without static that works for you. This charging stand in particular is very compact which makes it easy to store when you’re not using them. While the headphones and the stand aren’t necessarily the most beautiful, you really can’t beat the price. 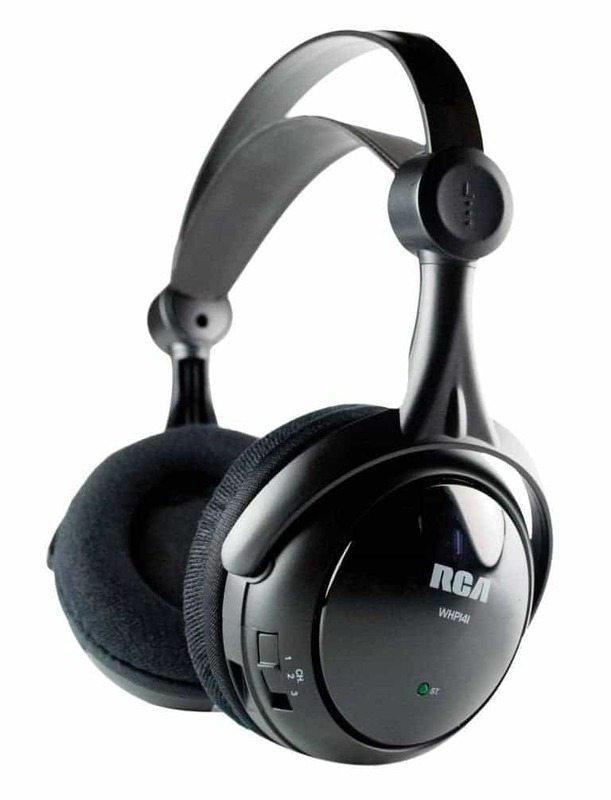 The RCA WHP141B headphones are fairly easy to set up and you should be able to get going straight out of the box. Should you have any issues however, RCA’s customer service is exceptionally helpful and they’ll get you going in no time. A couple of other features to note, you can actually connect another pair of the same headphones to the same base so two of you are able to watch the same thing at the same time! If you feel like using these as regular headphones with your phone or computer, you’re also able to do that too with an AUX cord. These headphones don’t come with it, but you should be able to find one for under 10 USD. All in all, these aren’t necessarily the most amazing wireless TV headphones on the market but we wanted to include them anyway for the price. Again – they still have a very nice full sound that’s a bit strong on the bass and for the price you won’t be able to find anything better. So if you’re looking for a good entry product to buy your first pair of wireless TV headphones or you just won’t be using them all that much, give these a shot. We said at the beginning that this list would include a wide variety of different types of headphones that are suitable for TV. 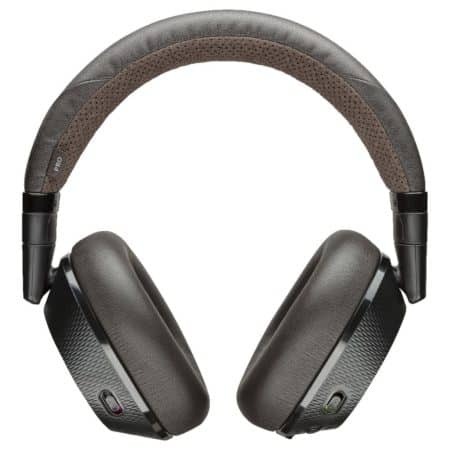 The Plantronics BackBeat PRO 2 headphones are the first of a different type of technology that we’re including. The past six headphones have featured FM transmission that goes through a transmitter. In other words, you plug a transmitter into your TV and then your headphones pick up the signal from the transmitter and not the TV directly. 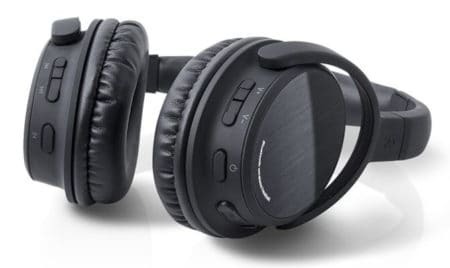 The Plantronic BackBeat PRO 2 are different because they use Bluetooth technology. This is the same Bluetooth you’re used to – the headphones connect directly to the TV via Bluetooth. However, a lot of older TV sets aren’t necessarily Bluetooth compatible so make sure it is before purchasing and wireless TV headphones that use Bluetooth. Alternatively, you can buy a separate transmitter that you can plug into your TV that makes it Bluetooth compatible. Either way – just make sure you pay attention when you’re shopping and make the decision that works best for you. Onto the review of the Plantronics BackBeat Pro 2! First off, these are definitely at the higher end of the price spectrum at about 250 USD. 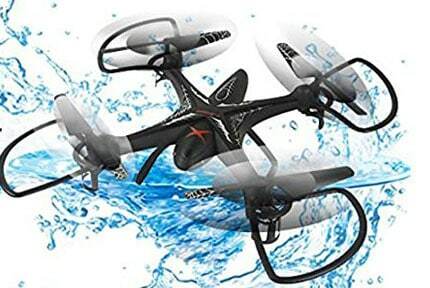 It is definitely pricey but it has some features that we feel make it worth the higher price. One issue that people often complain about when using Bluetooth headphones to watch TV is the audio and video aren’t synced. Plantronics solves this problem thankfully! They use low-latency Bluetooth technology which doesn’t allow as much interference with the signal. This leads to the audio and video always being perfectly synced. As far as the two major factors: range and battery life, the Plantronics BackBeat PRO 2 definitely delivers. You’re able to power through 24 hours of streaming on a single charge and they have about a 300 foot range. This is extremely powerful for Bluetooth TV headphones. 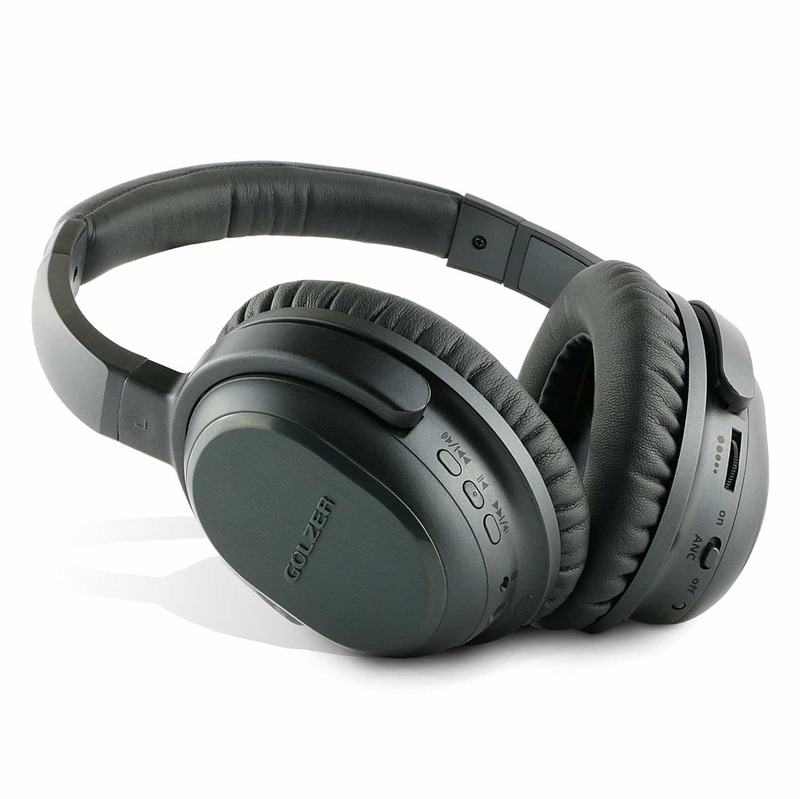 They are also the first pair of headphones on our list to feature active noise canceling. Also since these are Bluetooth headphones and don’t go through a FM transmitter, that means you can use it with any other device that’s Bluetooth compatible i.
your phone, tablet, and laptop. You can seamlessly switch between devices if need be with the same pair of headphones. Overall, we love these headphones. They’re versatile, sleek, lightweight, and particularly comfortable! They also happen to come with an amazing carrying case that’s protective while still being stylish. Movies and TV sound great on these and the major bonus, you can use them with your other Bluetooth devices and not just your TV. The downside is their price and the fact that you first need a Bluetooth compatible TV or you’ll need to buy a transmitter. If you don’t want to spend the money on a pair of headphones just to use while you watch your TV, we suggest springing for these so you’re able to use them across your devices. If you have the cash to splash, we can’t recommend these headphones enough. We’re all over the map as far as price today on this list! These ones fall down on the lower end of the price ladder at just 50 USD. Not bad for a pair of sleek and stylish wireless headphones that sound amazing and also come with a carrying case. Like the previous pair, these ones use Bluetooth technology so you’ll need to either make sure your TV is Bluetooth compatible or you need to buy a special transmitter. Perfect – now let’s get down to business and see if you’re getting your money’s worth with the Photive BTH3 headphones. Sometimes with Bluetooth comes compromise and there’s a little bit of a compromise with these headphones. They only sport 12 hours of battery life and about a 33 foot range. It’s easy to get caught up with the “bigger is better” mentality but if you really think about it, 12 hours of battery life will suit about 98% of your needs. How often are you really watching TV for longer than 12 hours? As far as the 33 foot range, this can definitely present an issue depending on how big your bedroom or living room is. But for most people, you will most likely be watching TV within 33 feet of the actual device so again, this shouldn’t pose a major issue. 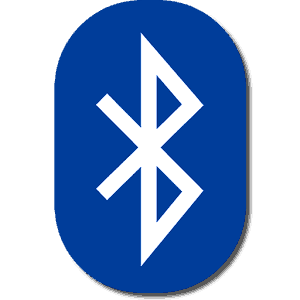 Like we mentioned before since these do use Bluetooth technology, you’re actually able to use these across any of your other devices that are also Bluetooth compatible. While you do make compromises with Bluetooth, it does have its benefits. This is great if you don’t like the idea of purchasing a pair of headphones for the sole purpose of watching TV. They also can be used with an AUX cord if you wanted to use them as a regular pair of headphones. The buttons on the side are very easy to use to control volume, etc. and they even come with a microphone! Not many on our list have a microphone, so this just gives this pair that much more versatility. The Photive BTH3s provide a lot of bang for their buck. The price is great, the sound quality is even better, they look good, they have a microphone, they come with a carrying case, and they’re ready to go right out of the box. If your price point is under 100 USD and you don’t mind using a pair of Bluetooth headphones, we highly recommend these. Overall, not a ton to complain about with these. The freedom it gives you to use them on all your other devices is another great point that is definitely worth considering. You’re not only getting a pair of wireless TV headphones – you’re getting a pair of high-quality TV, phone, and tablet headphones. We have another pair of extraordinary Bluetooth headphones up next that make your listening experience while you’re watching a movie so much better! Of course, we have to first comment on how beautiful these headphones are. They’re sleek and modern while still providing an extremely high level of comfort. These are extremely lightweight so you could keep these on all day and you wouldn’t even notice you had them on! Okay, we all know that they look beautiful and now we know they feel great, so let’s move on to the rest of the review. We always have to discuss the price – especially since all the headphones on this list vary so greatly. These ones are decently priced at 80 USD and for how amazing they sound, we think that’s a completely fair price. They also feature a low-latency connection which as we talked about before, keeps out any interference so the audio and video are always synced perfectly. Just remember that since they do use Bluetooth, your TV will need to be compatible with this. They also come with an AUX cord so if the battery dies or you need to plug them in for any reason, you’ll be good to go. The battery life on these Avantree headphones makes it almost to the top of our list at 40 hours! That actually is astonishing for a pair of wireless Bluetooth headphones. In a hurry to charge them up completely? No worries – these headphones get a full charge in as little as 2 hours. As far as the range goes, they’re lacking a little bit with only a 30 foot range. But as we mentioned in the previous review, 30 feet really will suit your needs 98% of the time. Adding to their versatility, they also feature an optional bass boost setting so you’re able to customize the sound quality to whatever you feel like listening to. These headphones are especially good for action movies as they allow you to hear every single detail crystal clear with no problem. While the sound quality is second to none, they still manage to remain lightweight and extremely portable. Lightweight headphones are always a bonus if you want to listen for long periods because, after a couple of hours, you won’t even realize you still have them on. We’ve included another pair of headphones where you’ll be getting a lot for your money. These headphones are well under 100 USD, but the sound is crystal clear, the design is spot on, and they’re even comfortable! Not to mention we’re really loving the versatility these Bluetooth headphones provide. They may not specifically be “wireless TV headphones” – but there’s no doubt you’ll enjoy them with any movie or show you watch. It’ll feel like they were made specifically for watching TV – we think these are the perfect compromise. These last two headphones are both going to be Bluetooth but with a couple of major differences. Let’s focus on the Golzer BANC-50 first. These may not be the prettiest headphones out there on the market but what they lack in beauty, they more than make up for in sound quality. The price is reasonable as well, and they even snuck in a few extra features that we didn’t see in the last pair at the same price. What are those and do they matter to you? Let’s take a look at the Golzer BANC-50 headphones to find out! Like we mentioned, these are indeed the same price as the last pair at about 80 USD. Not a half bad price. You pay enough to still feel like you’re getting quality while staying within a reasonable budget. 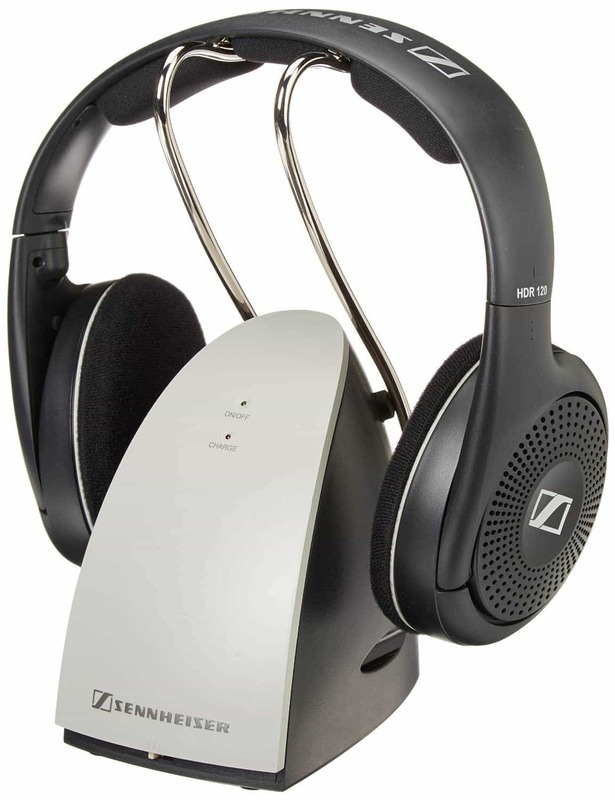 Two things included in this pair that wasn’t in the previous pair: active noise canceling and a built-in microphone. Now, these two features are definitely nice to have but before you immediately ditch the previous pair, think about whether or not you even personally use these features. If you do, these might be worth a look over the last. The quality on these is decent all around although the bass is a bit heavy – which of course can be good or bad depending on your audio preferences. Overall though the quality sounds just as good as headphones with a wired connection. The battery life falls short a little bit at 15 hours and the range is nothing special at 33 feet. They do come with a hard carrying case which is always a nice bonus. Not only is it more convenient for you, but they’ll make your headphones last longer by keeping them nice and protected. They definitely provide decent specs and quality for the price. They also feature an all-black design, allowing them to easily blend in wherever you may be wearing them. Something else to note that always comes in handy is that Golzer provides impeccable customer service. It’s a factor you never really consider when purchasing headphones until it’s too late. They’re pretty simple to set up, but if you ever do run into any trouble or if anything goes wrong, you know you have Golzer behind you backing you up. 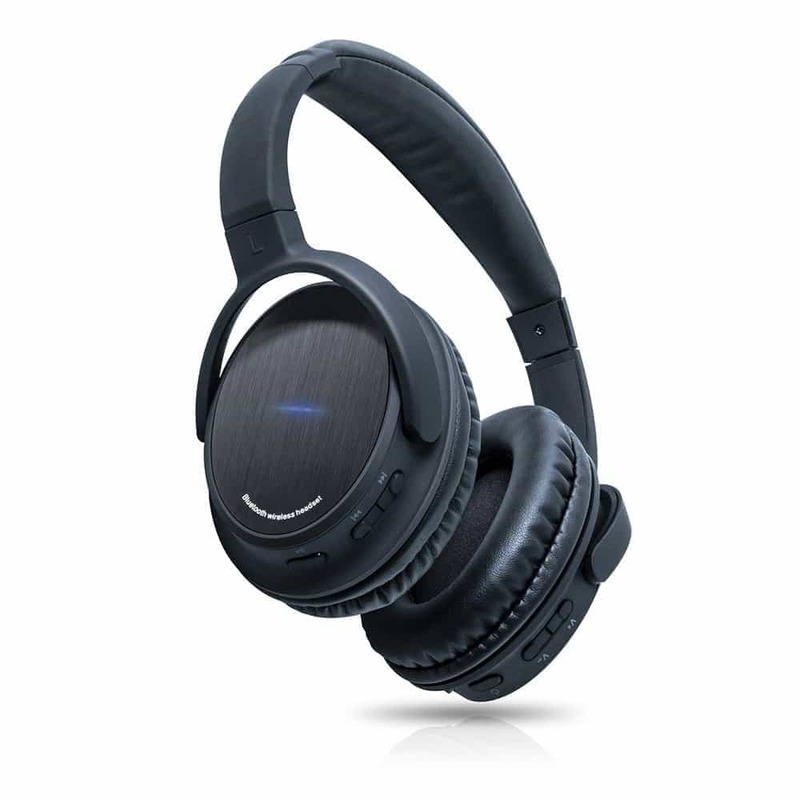 Overall these are a solid pair of headphones and for the price – you get active noise canceling and a built-in microphone. If those are two factors that are important to you, you’ll have trouble finding them in another pair at this price point. At the end of the day, you will not be disappointed if you purchase these Golzer headphones. We are coming to the end of our list of the best wireless TV headphones! The last pair that we are featuring is the MEE Audio Matrix2 headphones. We have to say, we really love the design of these! They’re different and add a little bit of interest to the sides. Not only do they look pretty cool, they’re also insanely comfortable. They’re not super lightweight, but the fabric used feels great against the side of your head and they don’t fit tight at all. Alright, let’s move on to the specs! Another fairly priced pair of headphones at just under 70 USD, the MEE Audio Matrix2 have great all-around audio. The bass is deep and both the mids and highs are crystal clear. It’s important that headphones used for primarily watching TV have good all-around audio quality and don’t just focus on bass. It allows you to hear all the sound effects, conversation, and music without anything becoming muffled. The quality is truly HD-quality. The battery life on these isn’t half bad either. They last for 22 hours with 350 hours of standby! You could easily use these for three, four, or five days without having to worry about throwing them on the charger. They also come with an AUX cable to convert them into wired headphones if the occasion should arise. Along with the AUX cable, they come with a hard carrying case to make it even easier to carry and protect them. The buttons on the side of the headphones are also easy to locate and make controlling the volume, etc. easier than ever. Oh, and did we mention they come with a built-in microphone? They may not be noise canceling but for 70 USD – a built-in microphone is rare so it’s definitely an added bonus. Overall the MEE Audio Matrix2 headphones offer one of the best combinations of price, comfort, and quality. Not to mention they also have a pretty great design. These are another solid option depending on exactly what you’re looking for – you can’t go wrong with these! If you read all 11 of the reviews, you might be feeling a little overwhelmed. 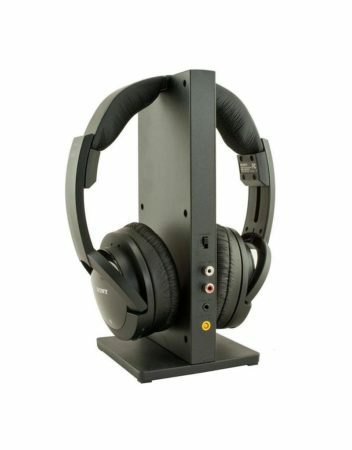 Admittedly, there are quite a few factors to consider when purchasing headphones that you’ll want to use primarily for watching TV. If you break it down though, you can focus on only a few key characteristics to help keep everything organized. It’s sometimes hard to find a pair that will exceed your expectations in every category, consider what you actually need and what you’ll actually be using them for and then go from there. This is probably going to be one of the main differentiators. We’ve explained the difference but we’ll do a little recap. If you buy a pair that come with a FM transmitter, your headphones won’t be connected directly to the TV. You’ll plug the transmitter into the back of your TV, turn it on, and then connect your headphones to the transmitter. The transmitter also will double as your charger so when you’re done, just lay them on top so they’ll be ready to go for the next time. Alternatively, you can buy a pair of Bluetooth headphones. If you do, you’ll want to make sure they have a low-latency frequency so the audio and video will be synced. The only things to keep in mind regarding the difference is that if you buy Bluetooth headphones, your TV will need to be Bluetooth compatible. Most older TVs aren’t so just be careful. Worst case scenario, you’ll have to purchase a Bluetooth transmitter to make your TV compatible. Another point with Bluetooth headphones is that you can use them with your phone, computer, and tablet as well. 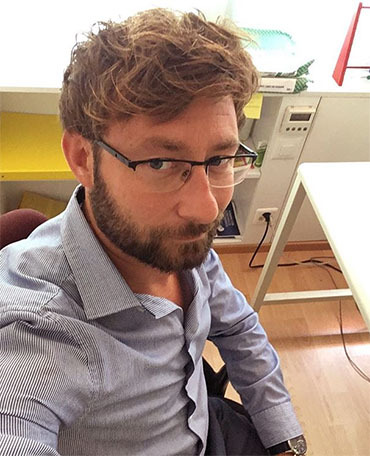 Of course – battery life! Do you watch an hour or two of TV each night or are you a perpetual bing-watcher? 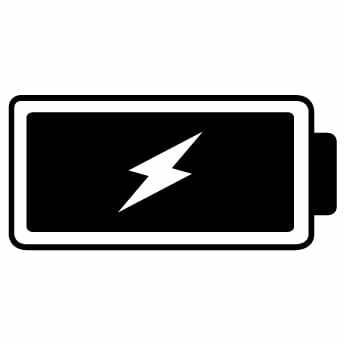 The lowest battery life you’ll see is about 15 hours but if you’re constantly forgetting to charge your headphones, you might run into trouble if you use them a lot. If this is important to you, there are wireless TV headphones that top out at around 50-hour battery life. Another very important factor to consider! If you live in a small apartment, the range on any pair will most likely be fine. If you have a bigger house or living room, be careful of some of the headphones that only have a 30 foot range. There are many that have ranges of 100-300 feet that also will work through walls. Some people might not need such a big range but just make sure to pay attention if you do have a bigger house. This might go without saying but we just wanted to make a couple of points. If you’re looking for wireless headphones specifically to use while watching TV, you want to make sure the sound quality is well-rounded. What we mean is, don’t purchase headphones that advertise a heavy bass. This can sometimes obscure some of the details when you’re watching a movie or TV show. You want a pair of headphones that advertise a balanced sound quality so you’re still able to hear the mids and highs perfectly clear. Another minor point to consider but could be a deal breaker. If you plan on connecting two or more headphones to the TV, make sure that either the transmitter is compatible or the Bluetooth technology on your TV supports it. If you go with a FM transmitter, some will allow you to connect multiple pairs of headphones and some won’t. Even if you don’t plan on doing it immediately, maybe spring for one that supports multiple connections just in case you do change your mind later down the road. We hope between all the reviews and the buyer’s guide, we’ve offered you a pretty good overview of the wireless TV headphones that are on the market. We also wanted to provide great-sounding headphones from every part of the spectrum because everyone has different factors that are more important to them. That being said, all of these headphones on the list will suit most people’s needs. However! There is definitely one pair that we think provides exceptional quality at the right price with the right amount of extras. Considering design, all of the factors from the buyer’s guide, and even a few more – we think we have found the best wireless headphones for TV that are out on the market right now. Okay! So which ones are we going to declare the winner? Drum roll please! 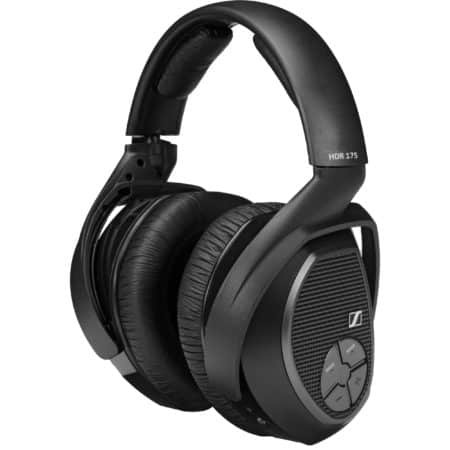 The best wireless TV headphones are going to have to be the Sennheiser RS 175! We love these for many many different reasons, but let’s recap just a few of them. First off, you’re able to completely customize your listening experience with selectable bass boost and virtual surround sound. You can even control these features directly from the headphones, making them even more versatile and easy to use! 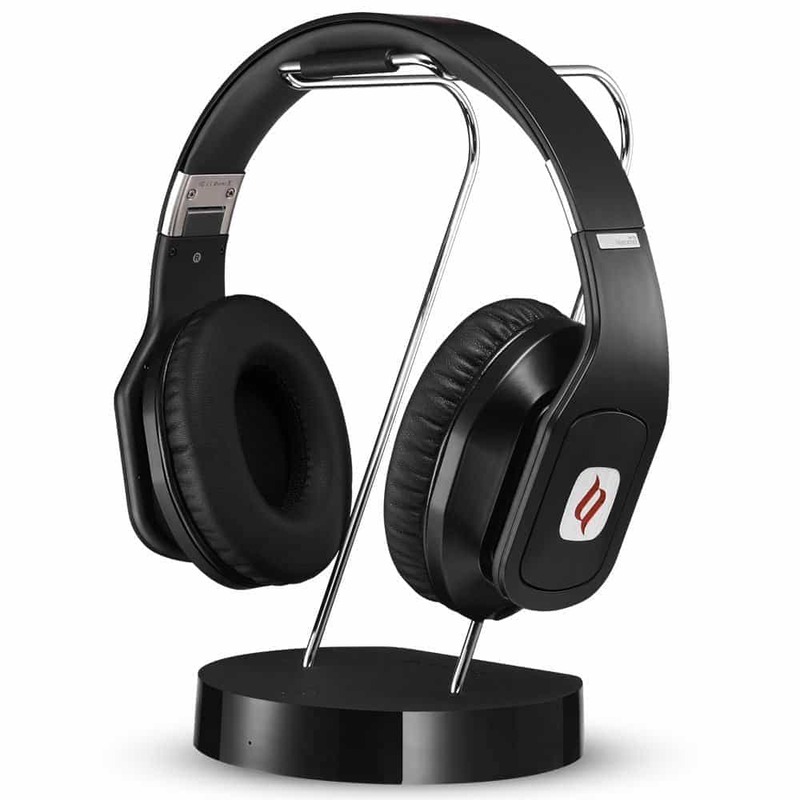 The design is amazing, they’re extremely comfortable and also ergonomically designed – which makes a big difference in those long listening sessions. They have a 330 foot range as well as an 18 hour battery life. The transmitter can also support two pairs of headphones, giving you room to expand later on. They’re ready to go right out of the box and even come with a two year warranty. After a lot of deliberation, we decided to declare these the winner even though they’re a bit pricey. We truly feel you’re still getting plenty of value for the price. 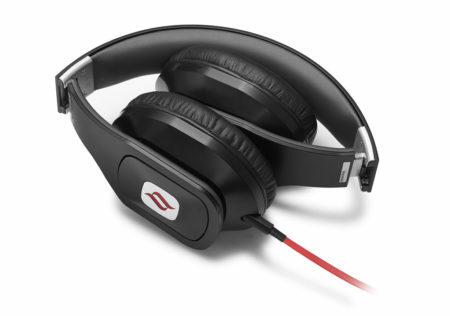 Give the Sennheiser RS 175 a go and let us know how much you love them! We’re confident you can’t go wrong with these. Thanks for reading and we hope this helped you make your decision. Happy listening!